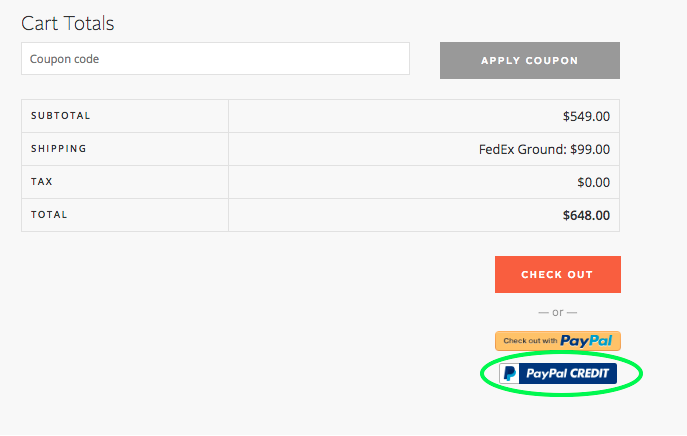 Just use this when making your purchase to get all set up with PayPal Credit. The monthly payments are available through PayPal credit, so the amount you pay would need to be set up using the PayPal portal that you are linked to during checkout. To learn more about how PayPal Credit works, please see this page. This should clarify how PayPal Credit works. *At this time we're only able to offer PayPal Credit and Affirm plans to customers located in the United States. I sincerely apologize for any inconvenience or confusion, but we'll be sure to update you via email if this changes in the future.